EFB3A Fixed table tape edge machine is used for tape-edging surface quilting panel and mattress border, also for sofa mattress, sleeping bag and tent production. 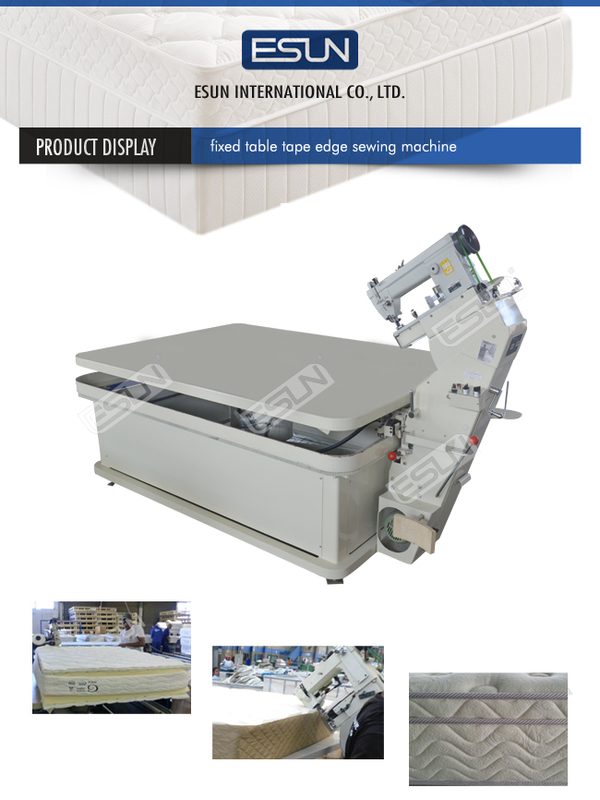 Machine use working way by sewing head body moving and table corner speed auto slow down to insure production efficiency and sewing quality. 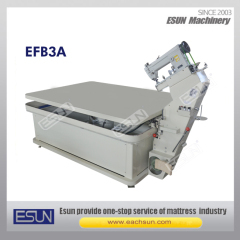 It is a necessary machine foe mattress manufacturer.